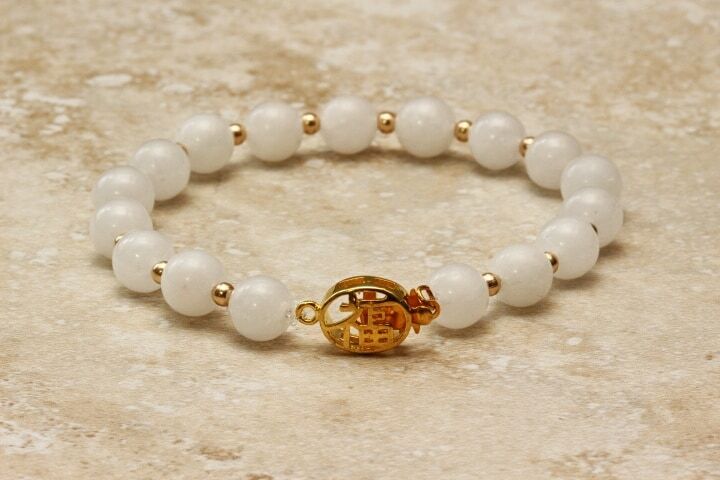 This bracelet featurethe 8mm White Jade stone beads with a 4mm gold beads set between the Jade. The White color and quality of each stone is excellent. The gold clasp on this bracelet has the Chinese character for Long Life on both sides. Each stone has been hand cut and polished to a fine finish. The translucent quality of each stone is also very good.